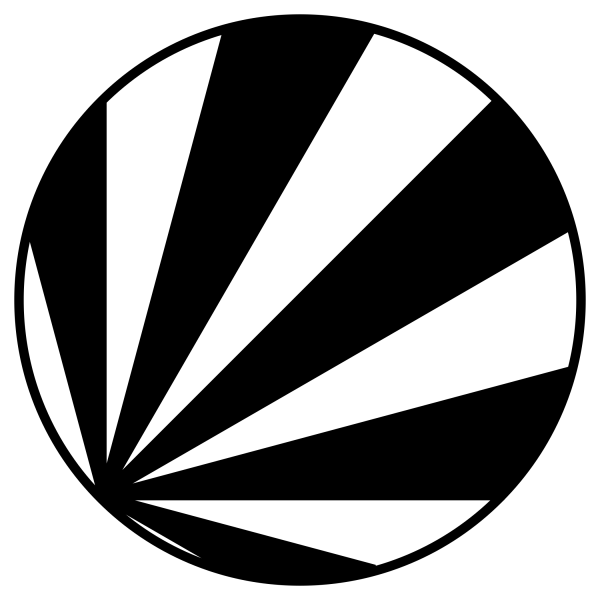 Rays can be produced by two methods: by endpoint or by angle. Each method produces its own style of pattern. 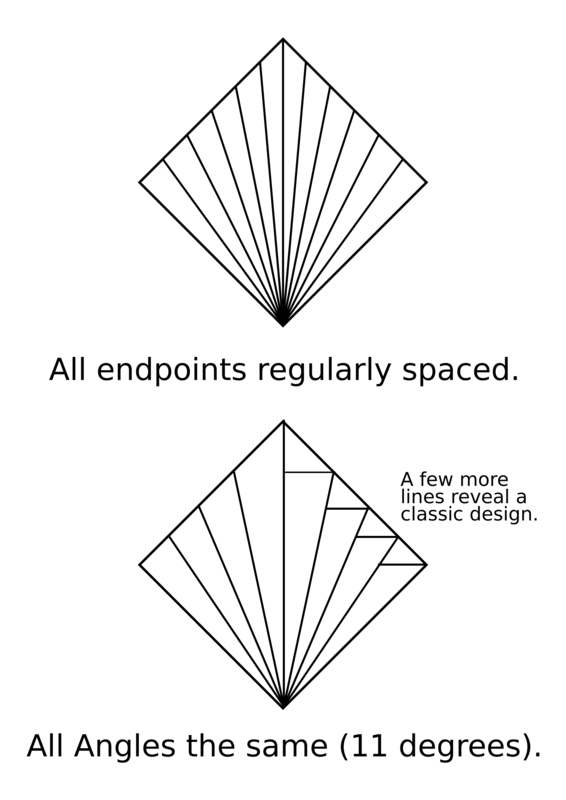 By using endpoints, you make the rays look more consistent even though the angles don't match, and by using angles, the endpoint spacing changes because the size of each triangle produced doesn't match the other triangles. Each sort of ray is used in Art Deco. When using angles as your basis, divide then add the remainder to the center angle. That provides a mild (or major) emphasis to the middle, which looks rather snazzy. This is a sunray made of the standard architectural angles: 0, 15, 30, 45, 60, 75, 90. 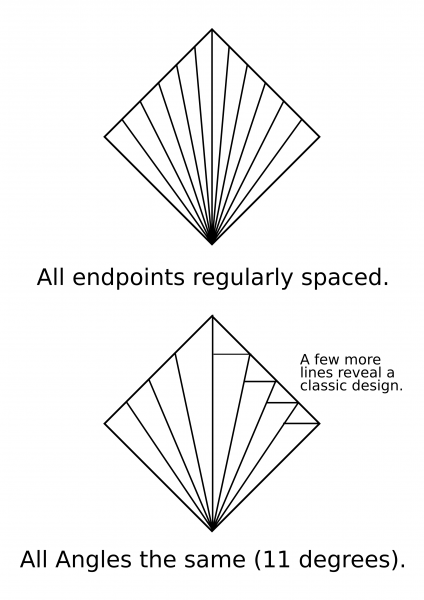 Most of the time, you won't see this because other designs actually work better. You may see partial implementations of the angles, but jiggered in some way to look better.